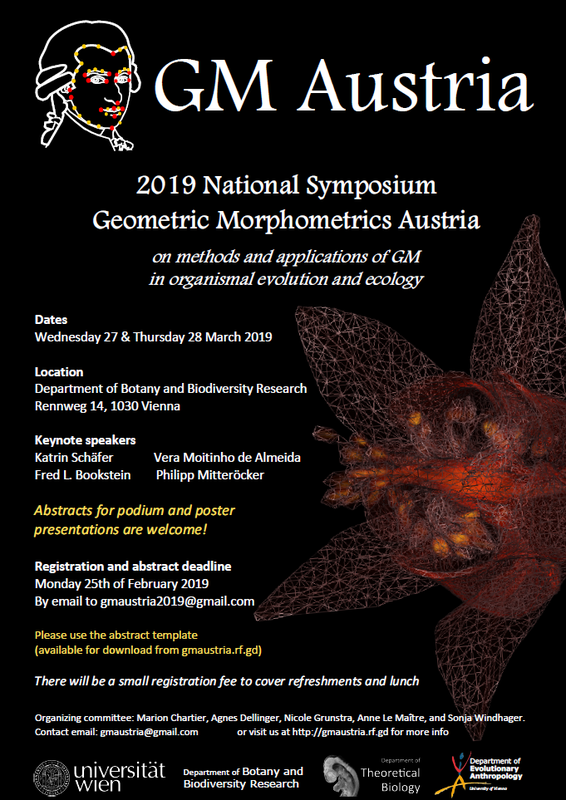 National symposium on the use of geometric morphometrics in organismal ecology and evolution, to be held on 27-28 March 2019 at the University of Vienna. This symposium is an initiative to bring together researchers from a broad range of disciplines whose work includes the development or application of geometric morphometrics (and related techniques). Registration and the call for abstracts is now open (deadline: 25 Feb 2019). PS: due to the small-scale and experimental nature of this year’s symposium, we will prioritize abstracts and registration by Austrian-based academics and students. Space permitting, however, we will happily accept registration from international researchers!